Toys Is The New Lexus UX Really Worth The Hype? Stockholm, Sweden is home to the Nobel Peace Prize, the birthplace of Ikea, Abba, Spotify, Skype, Minecraft, the Coca-Cola bottle, the propeller, the zipper, the pacemaker, and hundreds, if not thousands, of incredibly handy things you use every day or simply admire from afar, like the first space camera, the bicycle airbag, and dynamite. It is a progressive and dynamic country that seems to be operating in a different time zone to the rest of the world—and I don’t mean GMT, either. It really does feel like the country is ahead of everyone else, not only in technology but as a society as well. From almost cashless cities to unisex public bathrooms, Sweden is always pushing an envelope somewhere. It may have only nine million people, but pound for pound, it has produced more inventions, number one hits, and just general wowery than any other place on the planet. 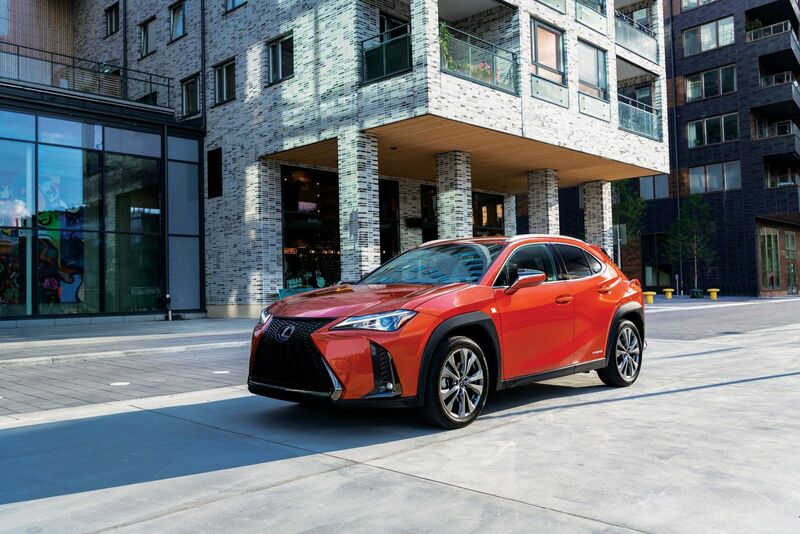 So it is absolutely no coincidence that Lexus chose this exact spot to launch the latest addition to its family—the all-new Lexus UX. This, in a nutshell, is Lexus. Old World values, First World technology; a quiet achiever that is constantly evolving and reinventing itself during its relentless pursuit of perfection. Take the UX. There may be nothing new about a luxury automaker developing a crossover to fill a gap in its line-up, but Lexus’s approach to this is. While it would have been quite easy to stick with the tried and proven Russian doll formula, the marque instead shattered the template and went with a female Japanese designer to ensure it brings something new and fresh to the table. Not because there was anything wrong with the previous approach, but how will you know that there is nothing better out there until you take that risk? How Did The Lexus NX300 F Sport Fare On The Road? From the moment you lay eyes on the UX, with its striking signature spindle grille, triple LED headlights and sharp creases, you know you are looking at something different. Which is good, but the more pressing question: is it better? Visually, I thought so. In a segment filled with safe spaces, it was refreshing to see an entry-level model that isn’t scared to stand out in a crowd. But what had me more intrigued is the lack of compromise in materials and workmanship. This is where you normally feel the cost-cutting, yet Lexus had managed to maintain the same premium feel and even introduced some new textures such as Japanese paper that cranks the premium knob up a notch. Attention to detail is still as on point as ever, and if you opt for the premium Mark Levinson sound system, you will be transported to another level of luxury that is not normally associated with this price bracket. As impressive as all that is, I half expected most of it. My biggest concern was performance. On paper, the UX is about as exciting as a dial tone—181bhp, hybrid motor, E-CVT (electronic continuously variable transmission). But what you don’t see or feel is the new mechanical first gear in the E-CVT that allows more torque to be fired through the transmission on take-off and mimics a regular (dare I say, sporty) automatic transmission that dispenses with the annoying “droning” feeling that is the curse of most CVTs. This gives you a real mechanical (or natural) feel on take-off. It was the first time I have tried something like this and I have a feeling we will be seeing many other manufacturers following suit. Knowing that the vast majority of, if not all, UX owners will be doing the driving themselves, steering has also been dramatically improved to provide more feel; while the ride, although still built up from Toyota’s GA-C (Global Architecture Compact) modular platform and closely related to the affordable C-HR, offers a far more plush feel due to extra laser welding in the chassis and structural adhesives to increase rigidity. The doors, hood and front fenders are also made from aluminium and the liftgate from polymers, which saves weight and improves handling, not to mention the gains in fuel efficiency. The argument is, and always will be: do we really need another crossover? The simple answer to that is, if the auto industry built cars around people’s needs, they would be all one shape and one colour. This is an industry driven by wants. Thank heavens for that, because I couldn’t ever convince my wife that I need one, but at least I can build up the courage to say I want one.